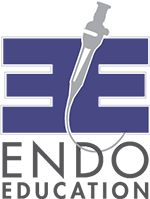 The peer-reviewed journal, Diseases of the Esophagus, published a ground-breaking paper on November 16, 2017, titled, Economic and survival burden of dysphagia among inpatients in the United States. The study used the massive AHRQ Healthcare Cost and Utilization Project (HCUP) National Inpatient Sample (2009–2013) database that included 88 million patient records during the study period. Patients aged 45 – 90 years old with less than or equal to 180 days of stay in hospital with and without dysphagia were included in the analysis. Multivariable survey regression methods with propensity weighting were used to assess associations between dysphagia and different outcomes. Inpatient hospital costs were estimated to be an additional $16.8 billion over the study period. Mean hospital length of stay was 8.8 days for those with a dysphagia diagnosis versus 5.0 days for those without a dysphagia diagnosis (a 76% increase). Patients with dysphagia were 33% more likely to be discharged to a post-acute care facility. The ongoing additional care cost of this population was not included in the $16.8 billion cost figure above. Compared to non-cases, adult patients with dysphagia were 1.7 times more likely to die in the hospital. Dysphagia is life altering… and not in the “good” way. As someone diagnosed with severe dysphagia in 2007 and on a liquid diet for 10 plus years, I know the impact through my own experiences, as well as from the patient stories shared by our community and the patient/caregiver emails our Foundation receives daily. But what’s the big deal? After all, almost everyone has their own cross to bear. Seat belt laws (or, as they say in my state, “Click It or Ticket Texas”). Not wearing a seat belt may seem like it impacts only the offender, but that’s not true. It can dislodge you from your seat behind the wheel, making your vehicle a driverless missile moving towards others, you can be flung around the inside of the car, hurting other passengers, you may be ejected from the vehicle creating a human projectile that can damage not only yourself, but other people and property. Your problem with wearing a seatbelt can suddenly become the problem of many: your children, left without a parent to care for them. The police, working to assure this accident will not happen again. The DOT, working to repair the damage done to the roadways and public property. The medical team, working to save your life and the lives of others you may have injured as a result of your accident. Your coworkers, putting in overtime to cover the work accumulated in your absence. The burden that your one decision put on society, that’s costly. And while no one with dysphagia chooses this disorder, the same burden to society exists. This work is intended as a starting point (not an ending point) in the study of the cost burden of dysphagia. 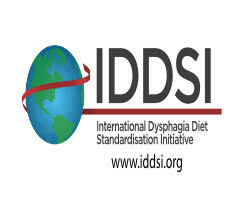 We are hopeful that every study and publication on dysphagia cites this publication. It is one way to raise the hard dollar side of awareness for a disorder that is often marginalized, poorly understood, and mistreated, even by experienced professionals. 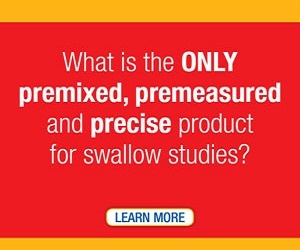 The National Foundation of Swallowing Disorders (NFOSD) would like to thank all those involved in this study. Seed funding for this work was provided by a grant to the NFOSD by the J Roland Gilbert, Mary R. Gilbert and Elizabeth A Gilbert Memorial Fund. The bulk of the work was carried out by a team lead by Drs. David Francis and Dan Patel at Vanderbilt University with guidance from Michelle Ciucci at the University of Wisconsin and Ed Steger and Ellen Conover. The work was conducted over a two-year period. All team members and the grant provider have the NFOSD’s deep gratitude for high quality work and commitment to seeing this work published.